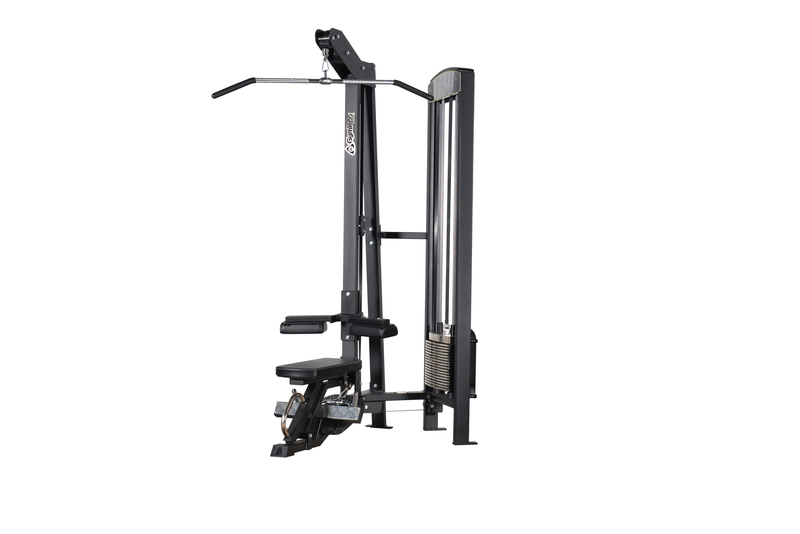 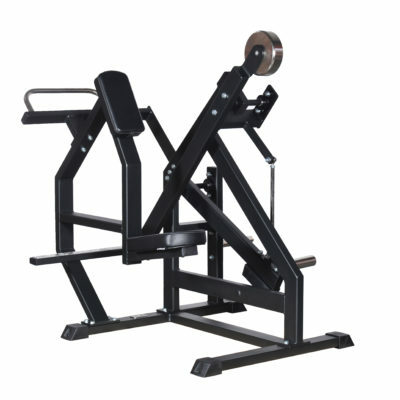 This exercise machine allows full function for both lats pulldown and seated row exercises without any compromise. The seat can be turned forward or backwards depending on the exercise the user wants to perform. 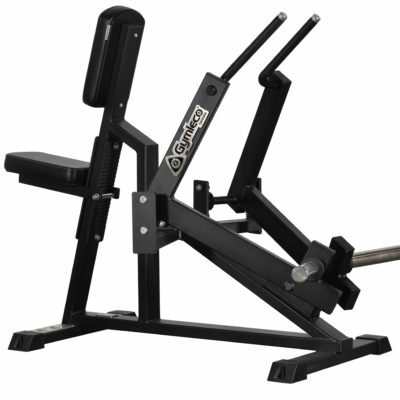 Weight stack is angled and is positioned at the side of the machine for easy access to easily set the desired weight. 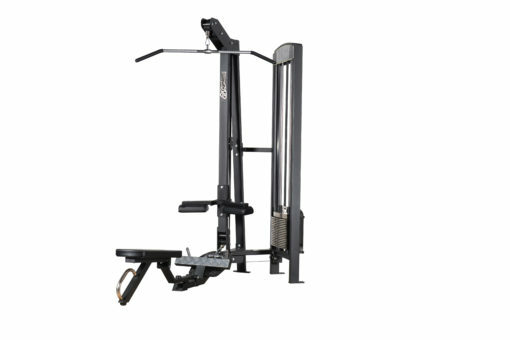 With this design the machine saves lots of space in the gym. 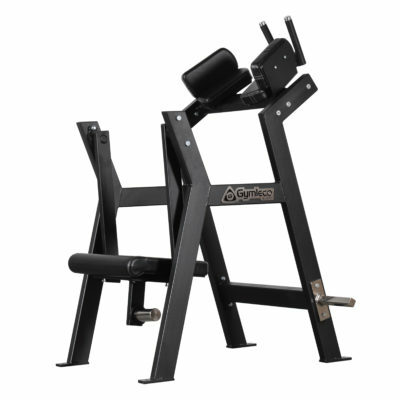 Stepless adjustment of the thigh pad.